The gender roles in classical dance are evolving, what prejudices do these dancers face today? Aparna Varma finds out. Indian classical dance although an ancient tradition is going through a modification of its narratives wherein the ideas of gender roles of the performers is changing. While there is a tradition of male gurus teaching dance, the prevalence of male dancers in performances has never been particularly remarkable as it is now. Similarly, certain dance traditions have been specifically choreographed and performed by men, and this too is being subtly questioned and changed with time. We interviewed a few artists breaking these barriers to understand their contribution to the evolution of their art and the prejudices they face, if any. 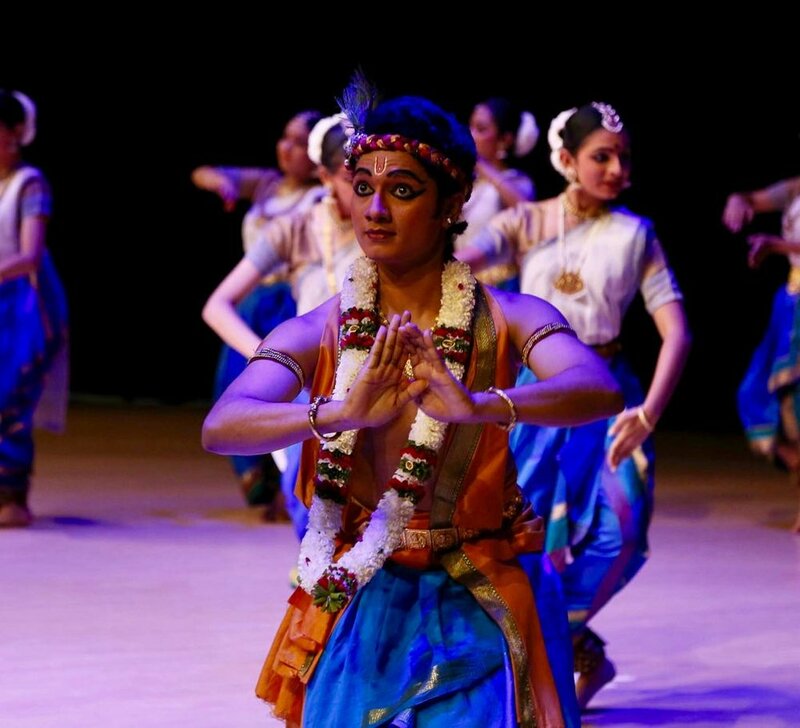 A student of Kalakshetra, Chennai, Geethanadhan is now a Bharatanatyam tutor at Singapore Indian Fine Arts Society. My father was a drama artist, and my mother is someone who loves and encourages any form of art. They were the ones who enrolled me for dance lessons at the age of five. So, I should say it was my family background which made me a dancer. Has there ever been a time when people have questioned or commented on your sexuality because you are a male classical dancer? The only questions I have faced were probably from my extended family as to why I chose this profession. I started off at a very young age and don't actually remember any taunts. I used to perform at temple festivals and in fact, I remember being greeted by applause and encouragement by the audience. This spurred me on to continue learning. When I came to Kalakshetra, there were male dancers there, even though a few in number. So, I never felt left out or odd. Why do you think there are fewer male dancers when it comes to classical dance forms? There are two possible reasons as to why there are fewer male dancers than female dancers, one is financial - it is difficult to make a living by being a full-time dancer. When it comes to marriage proposals, it is difficult to get a girl's hand in marriage when her parents realise that one is a full-time dancer. That's why you see a lot of marriages amongst individuals in the field itself. The second reason is perhaps the fear in the minds of parents that their sons would end up being effeminate if they become dancers, which is clearly untrue. In today's society, there is a preconceived notion that it is females who should dance, I guess. But as far as I am concerned, the epitome of dance is Lord Nataraja, who is also very masculine. Your sexuality is not dependent on nurture but on nature but most people labour under a misconception. As for me, my parents were supportive so I didn't have to face any such thoughts. A professional Bharatanatyam, Odissi, Kathak, classical ballet and contemporary dancer, Sooraj was born in Malaysia and is now based in Belgium. Tell us two things about your dance style you are fascinated by? I love that the Indian classical dance styles champion the solo performance format. It is terribly indulgent, to have this freedom to explore the art form exactly as one wishes; but also, unendingly terrifying, to have to carry so much performance burden alone. I also love that dance and music are inextricably linked. The way we draw on the richness of music to create moods, the way we are inspired by sound to channel our ideas and emotions into movement, that Indian classical music is highly structured and enormously freeing...these are all endlessly fascinating. 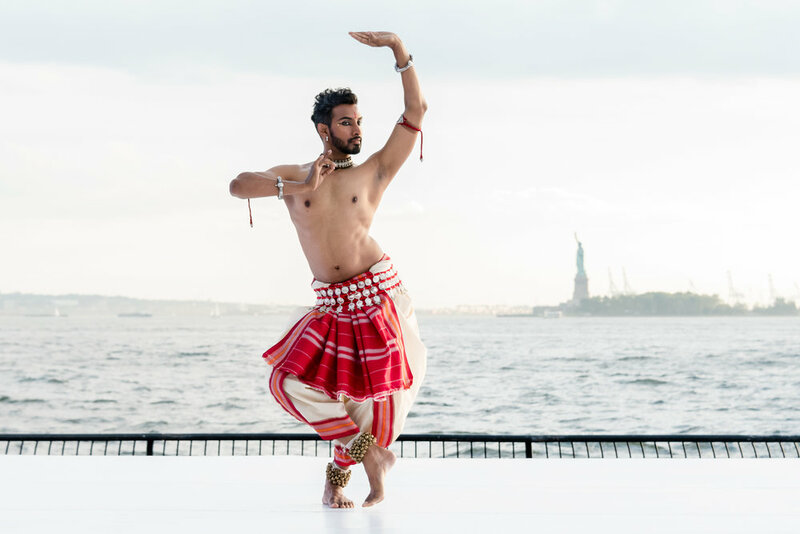 Why do you think there are less male dancers seen in Indian dance styles apart from Bollywood? In classical dance the performer is an ambiguous entity, charged only with the task of creating a transcendental experience. Gender is a by-the-by, mostly inconsequential to the philosophy of the dance. This sort of ambiguity isn’t easy to digest, especially when our societies are obsessed with classifying things into neat binaries. It takes extraordinary patience to appreciate the sort of subtlety that the classical arts are concerned with, and it demands a lot of investment from its practitioners and spectators. There’s also a cultural laziness when it comes to encouraging boys to participate in art, especially dance, which is seen as an emotional and aesthetic pursuit. I hope we can simply encourage interest and nurture talent, regardless of gender. What does it feel like to be on stage performing a male and a female narrative solo? I don’t in my daily life roam through wild gardens or string flower garlands for absent lovers. But the tautness of a hand gesture, or the ellipse of the rib cage while waiting for the beloved, the sting of eyes askance or their softness when downcast…that the dance allows one to indulge in the poetry of these such moments, this is proof enough for me that it doesn’t care for gender binaries and traverses them with ease. I aspire for such ideals in my waking moments too. So again, the gender of the character is immaterial to me. I’m concerned only with exploring the essence of the narrative. An alumni of Kalakshetra, Chennai, he is currently in the US teaching Bharatanatyam at a performing arts institution. What was your first dance class like? I faintly remember my first dance class, I was four years old at that time. The teacher’s name was Umanath. I remember giving him Dakshina in a betel leaf with an areca nut and a coin inside it. I touched the feet of the teacher and he blessed me placing his hands on my head. I also remember doing the namaskaram and the first set of steps in Bharatanatyam called the Tattadavu. If you had to, what other profession would you take up? I have not thought about anything else. This is what took me to Kalakshetra, to earn professional education in dance. Currently I am working in the United States as a Bharatanatyam teacher in a performing arts institution. I am sure that my training in dance had brought me all these opportunities. What are the professional challenges a male dancer faces that women do not? I think the greatest professional challenge is to balance the performing and teaching as dance becomes your source of livelihood and especially when you are the primary breadwinner of the family. Sharanya is a stage actor, director and theatre maker. What has your dance style taught you in relation to your life? That there is no separation between art and life - Yakshagana taught me that art and life can integrate seamlessly. (Yakshagana is a dance drama tradition of South India from 800 years ago). In the city, when we perform theatre or when I watch classical dancers, there is a sense of separation. Either the art form dominates your life, your identity as a person – a sort of grandiose idea that who you are is defined only by your art. Either that or your art is a hobby, not something that you take ‘seriously’. But I think, in Yakshagana the two (life and art) flow seamlessly. The performers perform during performance season and are farmers in the farming season. This sort of integration of art and life for me is what is culture. Yakshagana has taught me the meaning of culture. What innovations have you made to your style of dance, as a female artist? Every single aspect of Yakshagana has been designed for men. When a woman gets into that space, just by her ‘female’ existence in it, she breaks tradition. When you are present there with a different sensibility, a different body, a different voice and a different history, everything that you do becomes an innovation and a translation. What is the reaction of the audience to this new perspective that you present? Yakshagana uses argument as an important aspect of its performativity. So the audience of the region are very cued in to this argumentative culture and they find a new argument or a feminist perspective a bit easier to accept. I have had more resistance from the city audience who are probably not as cued in to this argumentative culture of Yakshagana. Having said that, no new perspective, especially a feminist one, is easily accepted, you have to fight for it. While in Yakshagana the male perspective has 800 years of history and development, the female perspective hardly has a background or history. So, we as performers and audience have to begin that journey, to embrace the female perspective, not just in Yakshagana, but in the way we live our everyday lives. How do you plan on taking the tradition forward? I ask questions from the feminist lens but within the framework of the dance form. For me, that is the way to the make the tradition available to people who have been traditionally silenced, who have not been allowed to have an opinion. These characters, whether it is Draupadi or the Indian contemporary woman, need an agency, an argument, a perspective and whether I do that through theatre or Yakshagana, it is the tradition we need to bring.